1) In a large bowl with a pastry blender or with hand blend the flour, baking powder, salt , vegetable shortening together.When all combined well, slowly add water until soft dough forms. Add additional warm water if necessary. 2) We are looking for a soft dough consistency; it should not stick to your hands. If it does, add a little more of flour. If it looks dry, or crumbly, add more water. 3) Knead the dough by folding again and again. Knead for 5 minutes to form soft dough that is no longer sticky. 4) Cover the dough with a towel or plastic wrap and let it rest for about 10 minutes. Allowing the dough to rest will give you a softer tortilla after cooking. 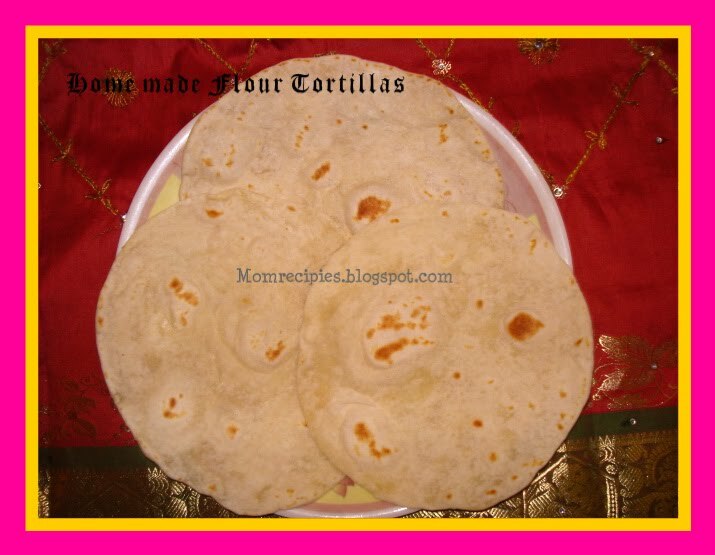 5) Separate the dough into 12 small balls or portions for small tortillas and 6 balls for large tortillas. 6) Heat a comal or griddle over medium heat. 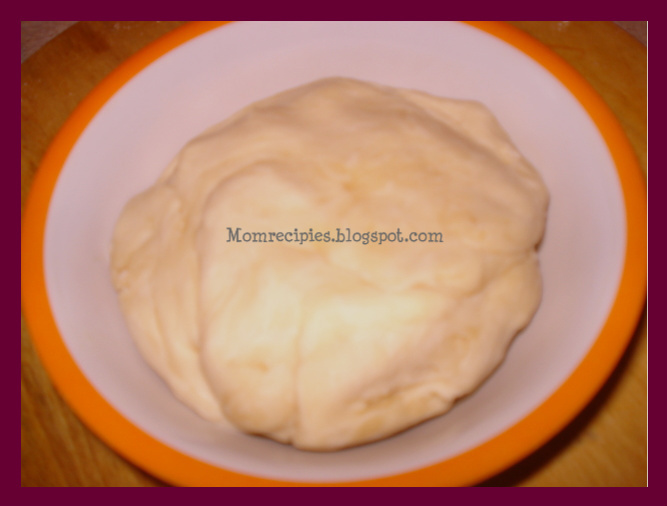 7) On a lightly floured surface take one of the dough ball and begin to roll it out. Continue to roll and turn until the dough is about 1/8-inch thick round in shape. Using a tortilla press , place a ball of the dough about 1 ½ inch in diameter between the two plastic pieces and press to form a 6 inch round tortilla. 8) Place each raw tortilla on the hot comal / Griddle / pan and cook .When air bubbles start to form then you turn over quickly and continue to cook for 1 minute until brown patches form. It will start filling up with air then you turn over again and cook for another 15 seconds. Cook until the tortilla begins to puff. Tap lightly with your fingertips to allow even puffing. Remove from the griddle and Wrap with a napkin or clean towel to keep them warm.Continue the same process with the remaining dough. 1) The dough can be frozen easily before cooking and thawed later.